I love cookies! 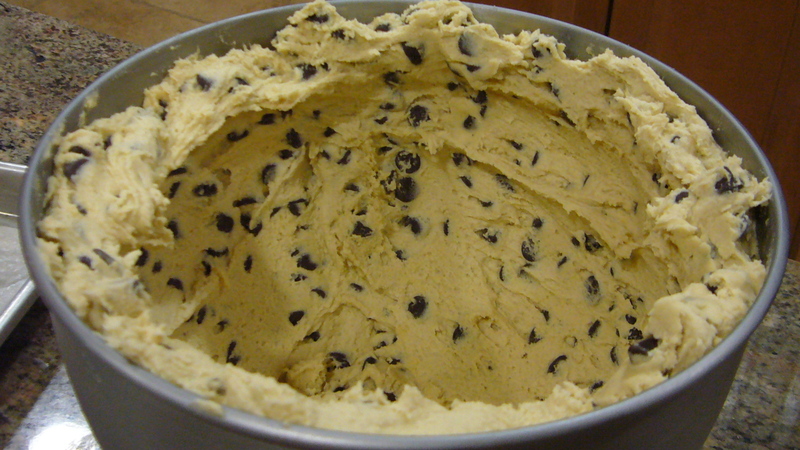 When it comes to chocolate chip, I know what I am doing. I know how I want them to come out and know how to get there. It is my go to cookie. I can get them done in no time flat and they are sure crowd-pleaser. With that said, the recipe that I have always followed is on the back of Nestle Toll House Semi-sweet Chocolate chip bag. I find it basic, easy to prep, and delicous. What makes mine wonderful is in the prep, the baking and my attention to the way I want my outcome of the cookie to be. Pictured below is a big part of that process. What I do after I make my batter and add the chips is I push all the batter up against the sides of bowl and I pop in the fridge, then I start preheating the oven. 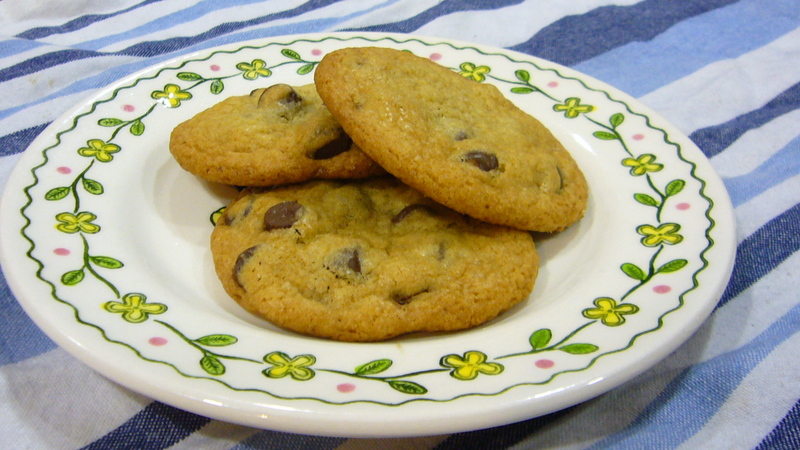 The chocolate chip cookie secrets. In the time it takes for the oven to preheat the cookie batter have cooled enough and can start being spooned out on to the cookie sheets. I am pretty specific about the cookie sheets that I use. I don’t like using non-stick cookies sheets. I don’t know the science behind it, but the way they distribute heat makes cookies burn on the bottom. You could reduce your cooking time, but then you might have problems with your centers. I like aluminum Jelly roll pans! They do just the right things to the edges of a cookie. Makes the sugar melt and brown perfectly. When I remove the cookies from the oven I let sit in the pan for about 2 minutes before I try to remove them. It helps the edges get perfect. You will notice above how the cookies are rising very nicely. I have definitely had cookies that didn’t rise well and just spread too far over the pan and created more of disc than a cookie. 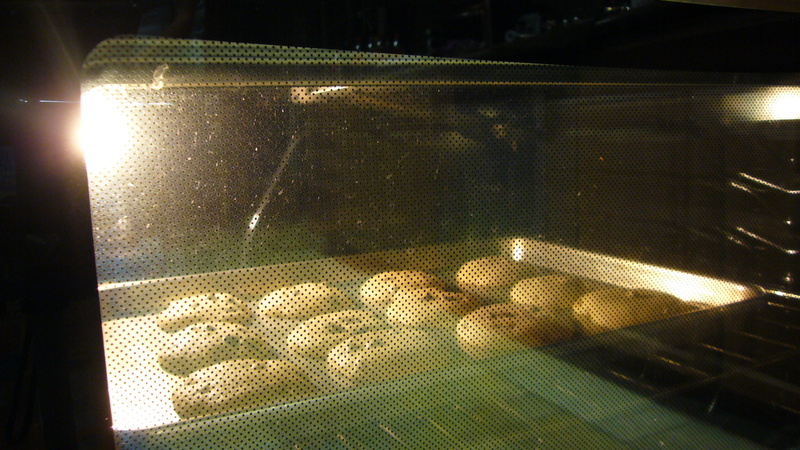 When you refrigerate your dough for just a bit it helps the the cookies set up, and controls spread when baking. 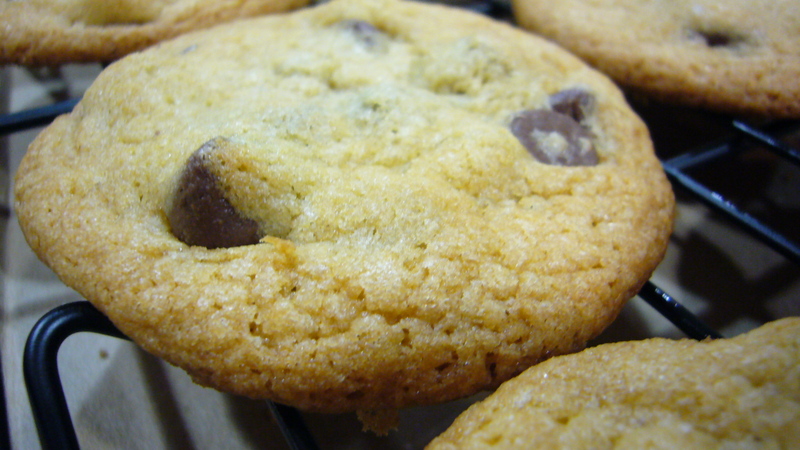 Below is a close up of how I like the a perfect chocolate chip cookies to look. 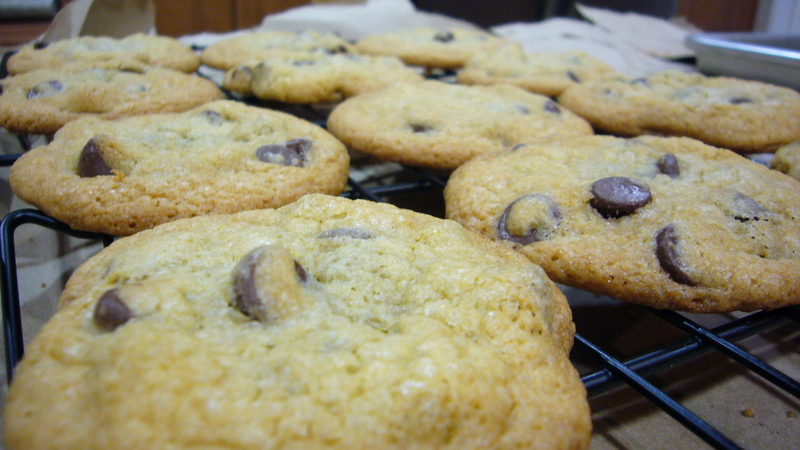 It has brown edges that you can see how the sugar has crisped up well and then the centers of the cookies should be chewy and moist, but not raw. They should have a light golden color to them. Seems like whenever I bake cookies I learn something. Today I learned a lot of things while cooking these cookies. 1) I’m over only having one cookie sheet. 2) Not sure, but this is the second time, when using Kosher salt, that the cookies came out a bit salty. Think I will stick with good ol’ table salt for these cookies in the future. In the end the cookies vanished like all the others before them. I am excited to start challenging myself to some other cookies this year, but I am happy that I have the basics of this cookie down at the least. ← You have to treat yourself sometimes! Your photos came out very nice! Thank you, Anna! I will have to make you some cookies that have some kind of “FWAP!” quality. I will make it my mission! xcxo!